Ever since the launch of OSOM Alpha, our team has been collecting valuable feedback from dedicated testers and applying new knowledge to further developments of the app throughout March. We also launched the OSOM.finance website, attended events and made adjustments to our events focus and launch plans, had an opportunity to rethink how we communicate our value proposition to our target market. We invite you to contribute to our continuous learning and take part in an ongoing survey with a chance to win prizes here. We are currently in the waiting for a separate token exchange authorisation – also in Estonia – that will enable our users to buy and purchase token assets on our platform and for us to launch our closed beta. The payment institution license application with the National Bank of Belgium is still ongoing. Licensing requires extreme focus on every detail of our business model and takes several iterations until completion. Overall the process continues to be very exciting as we strive to be one of the pioneers in obtaining a PSD2 license. It is a priceless exercise and we are proud of our input in shaping the future! 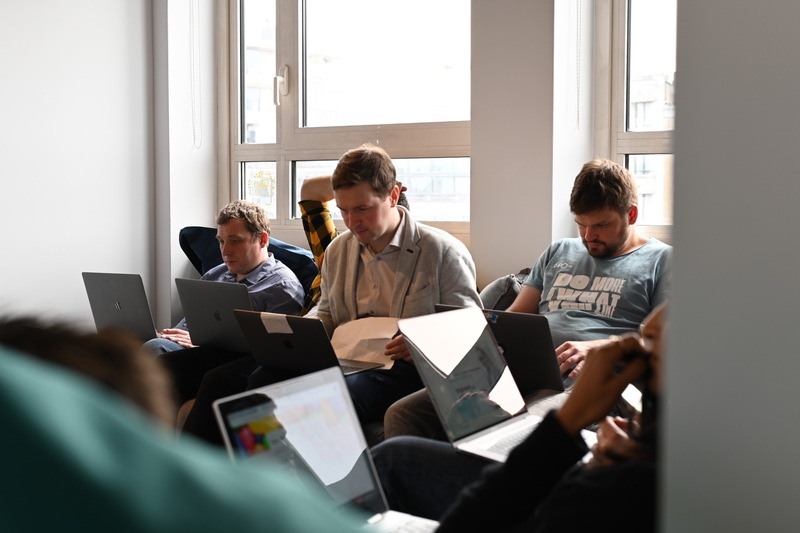 Currently OSOM is in Closed Alpha 1, at the same time undergoing a state of the art security audit – an external cybersecurity professionals testing all of our systems. Closed Alpha 2 will come after this audit is complete and we will be onboarding new early adopters in batches to test our aggregation and payments functionality. Following the Closed Alpha 2 we will enter Closed Beta, beginning to organise our further development and promotions. During that time, we will deploy more functionality, update UX and UI, and invite all our token holders to join and move their PLBT tokens to OSOM wallet. Once we collect feedback and feel confident in the service, we will launch Open Beta for everyone to come and experience it. In the meantime, while the mobile version of OSOM is being tested, we are getting the iOS app ready for deployment to AppStore. After that, we will also focus on delivering the Android app to the Play Market and expanding our mobile web functionality to fit all desktop requirements. 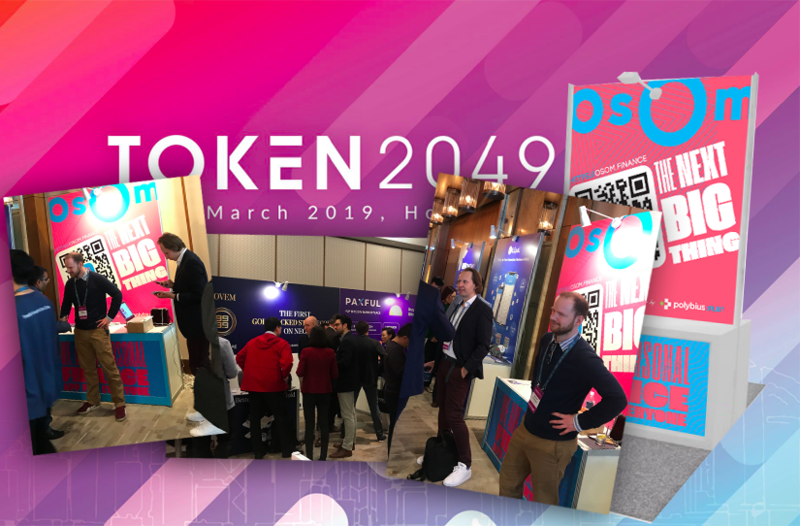 Our team attended TOKEN2049 in Hong Kong March 12-13 which allowed us to meet like-minded startups and potential partners and talk about our project to potential token holders. But we also understood that while big international happenings are interesting to meet the ecosystem, we should shift our focus to our own hosted events, that would directly influence our contact with media and potential clients and partners. More on that soon. Also in March, Mathieu Hardy brought home futurist insights from SXSW in Austin. The team is currently preparing for next appearances at CONSENSUS where we are happy to meet you at our booth (Booth number 371) and Latitude59 May 15-16 in Tallinn (yet to be confirmed). If you do not have a ticket yet, but CONSENSUS is in your plans – grab a discount code here! Our waiting list grows by the hundreds every week, and we encourage you to keep inviting people around you to make it never stop! Only with you we can successfully start and test our idea before expanding even further! Together we will bridge the economies with elegance, open new opportunities, and deliver tangible benefits of extra money and extra time to everyone! Invite your friends to visit osom.finance now: signing up is the best way to be the first to access OSOM features! Feel free to share a promo code INSIDER, so community sign ups are well identified. The reminder stands for the PLBT owners who have not logged into their POLYBIUS WALLET (https://wallet.polybius.io) accounts for several months and have not yet updated their wallets, to do so URGENTLY. Soon the old wallet will stop being supported, and you might lose access to your tokens forever. All you have to do to protect your tokens is to log in to your wallet, and that will initiate the updating process called ‘account migration’. This takes up to 48 hours to complete. 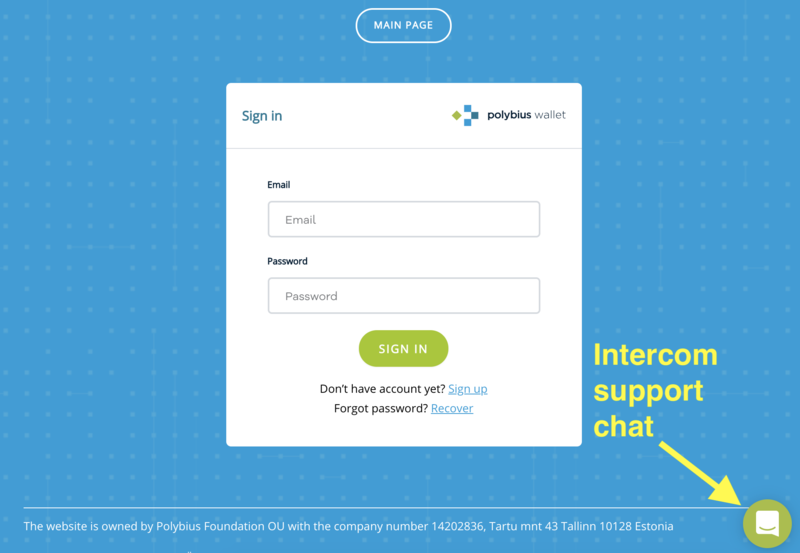 For any questions or issues, find a green chat button in the bottom right corner of wallet.polybius.io – our team is there to help! On March 20-22 we hosted a team meeting at our new office in Brussels. It was a good test for events and venue capacity, since we are planning a series of inhouse media relations, focus groups and educational events throughout the year. Local Belgian media mentioned our new office too and we think it is important to establish OSOM as a native Brussels company (will insert links to articles). Interested in joining our team? Or know of someone who would be the perfect fit for us? We invite you to keep track of our current job openings at join.osom.team, as well as drop us a spontaneous application – some of the nicest discoveries of people very often are led by being confident to introduce yourself! As our readers may have noticed, Polybius Facebook page was converted to OSOM page, preparing it to be the gateway for OSOM news. As of now, Polybius will be mainly using LinkedIn, Twitter and Telegram as social media channels, while OSOM will maintain its presence on Facebook and Instagram and Twitter used mainly to expand the audience of the previous two. Both brands will have their own blog sections for the latest updates. This concludes our newsletter for March. Get the next one directly to you inbox – subscribe to POLYBIUS newsletter here. With things happening all the time, make sure you follow POLYBIUS on LinkedIn and Twitter.